If you’re planning a trip to Amsterdam and its 165 canals, we’ve got your itinerary covered. Steeped in history from World War II, UNESCO World Heritage Sites and awe-inspiring art by big-name influencers such as Van Gogh – there’s no shortage of wonders to explore. As one of Europe’s ancient cities, it comes as no surprise that there’s 75 museums showcasing its rich heritage. Walk in the footsteps of the famous Anne Frank, admire Andy Warhol’s quirky creations and inspect artifacts from the Netherland’s most notable periods. Here’s 5 must-see museums in Amsterdam. Why visit? Step inside the world’s largest collection of Vincent Van Gogh artwork. You’ll be welcomed by notorious craftsmanship such as the legendary 1853 ‘Potato Eaters’ image showcasing his finest figure painting skills and the 1887 ‘Self Portrait’, which as the name suggests is an canvas of Gogh himself holding a palette and brush. Alongside the museum’s major highlights, there are exhibitions such as the David Hockney collection which explore the similarity between his vivid artistry and Van Gogh’s work. An additional perk at this hotspot has to be the walk-in workshops and the drawing cart which allows you to get creative among some of the most famous drawings in the world. If you’d prefer a private tour or a multimedia guide, this can be arranged upon arrival. Travelling with little ones in tow? There’s a kid’s section full of activities. Top tip: Visit between the hours of 9am and 11am or after 3pm to avoid the hustle and bustle of peak times. Arena Hotel: Just over five minutes from the legendary Museum Quarter, you’re footsteps from Van Gogh’s masterpieces, the Rijksmuseum and Stedelijk Museum. This vivid hotel is adored for its tall ceilings and large windows – perfect for twinkling city views. There’s also a bar and restaurant onsite and first-class facilities to take advantage of. WestCord Fashion Hotel Amsterdam: This chic hotel is near the amazing Vondelpark which is home to the Museum Quarter. Its stylish interiors and contemporary decor make for a lavish city stay. Cocktails are served at the Sky Bar, where rooftop panoramas anticipate your arrival. Why visit? As one of the best museums in Amsterdam, you can’t visit this hip city without touring Anne Frank’s house. Back in 1944 when the war was at its worst, Anne hid from the Nazis for two years before she was discovered and later died in Bergen-Belsen concentration camp. Learn about this brave little girl’s story and her journey from Germany to Amsterdam with this chilling adventure. Just before Anne went into hiding on her 13th birthday she was presented with a diary, where she wrote short stories in addition to her thoughts and feelings. This immortal book is displayed behind a glass case during your exploration. Experience what life was like during this brutal period with quotes, photos, videos and original items. Did you know? Anne Frank’s Diary is the most translated Dutch book. It has been converted into 70 different languages and published in over 60 countries. 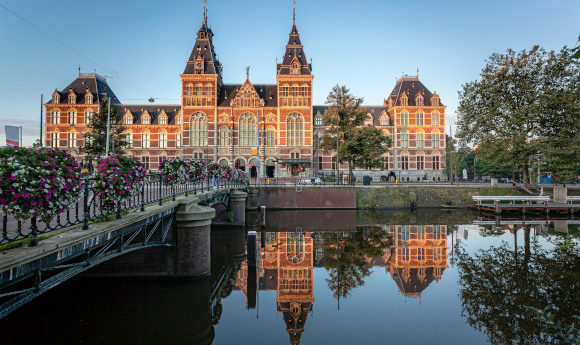 Top tip: Purchase an I Amsterdam City Card and save up to €50 on major attractions and gain free museum entry. This pass also covers your transportation throughout the capital. XO Hotels Park West Amsterdam: Although this 4 star accommodation sits just outside the city centre, it’s only 10 minutes from Amsterdam’s major attractions. Allowing you to escape the city crowds, relax in your deluxe room and sip Champagne from the chic bar. There’s also an onsite restaurant serving a buffet of international foods. NH Collection Amsterdam Grand Hotel: Nestled among the hustle and bustle of this Dutch centre and within easy reach of the Old Town, this 5 star establishment not only enjoys a winning location but top-notch facilities. Home to several lounges, exclusive dining spots and well-equipped suites – surround yourself in luxury. Why visit? 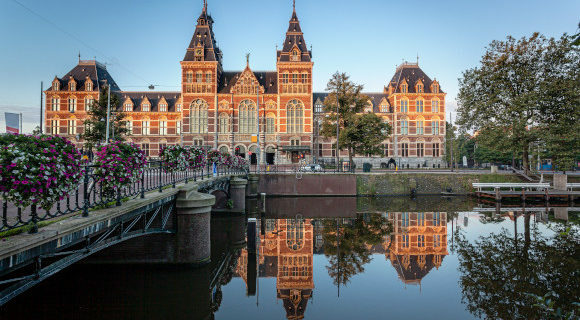 Dedicated to art and history in Amsterdam and one of the most popular attractions, Rijksmuseum contains 800 years of Dutch and global heritage. The building itself is a national treasure and inside lies archaeological artefacts, Asian art, Dutch maritime history and a freshly landscaped garden which hosts temporary exhibitions. There are 80 galleries to wander and 8,000 objects on display, this inspiring collection of marvels will have you captivated. Adored for its unmissable ‘Night Watch’ painting by Rembrandt, ‘The Milkmaid’ by Johannes Vermeer and the antique ‘Dolls House’ inspired by Jessie Burton’s 2014 novel, the Miniaturist – there’s so many highlights to cover. Get the lowdown on all the fascinating facts with a guided tour or solve mysteries with the digital family games on offer. 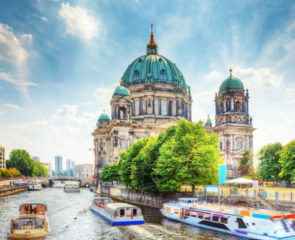 Best for: A mixed bag of 17th century art, culture and artifacts. Did you know? Rijksmuseum has the largest art historical library in the Netherlands, including exhibition catalogues, books, periodicals and museum annual reports dating back to 1885. Why visit? Tourists flock for miles to appreciate masterpieces created by legends such as pop-art originator Andy Warhol, Henri Matisse and Jackson Pollock – all held in this modern art facility. It’s the largest collection of contemporary art in the city and it houses 90,000 iconic illustrations, paintings and beyond. Open 365 days a year, keep your eyes peeled for workshops and unique exhibitions such as the radical changes in sculptures and going behind the scenes of documentaries that cover race, gender, class and religion. Not forgetting the collection of highlights in art and design since 1880 to now. There are in-depth guides about each inspiring section of the museum and tours are highly recommended. The library’s extensive collection of books will have aspiring craftspeople in their element, with a historical archive dating back to the 80s. Top tip: Avoid massive queues by pre-purchasing your tickets online or with a fast-track entry pass. Why visit? Established in 1926, step back in time and uncover this Dutch hotspots’ history. Not only exploring its past, but its present and future. From the early Middle Ages to the Golden Age, let a selection of artwork and objects tell the city’s epic story. Start at the DNA exhibition, an introduction to how Amsterdam is connected to the rest of the world. Over at the Het Kleine Weeshuis the background of the local buildings comes to life, especially the history of the 17th century orphanages. The My City area is a celebration of diversity by artist Barbara Broekman, this unique carpet showcases 179 nationalities living in the capital. Next head to World, this takes you on an interactive journey featuring personal stories from citizens and international relationships with Amsterdam. XO Blue Tower: Recently refurbished in 2017, this idyllic hotel is nothing short of contemporary. It’s 11 stories high with blue tinted windows gazing out onto jaw-dropping sights of the city’s most sought-after locations. Standard rooms are soundproof, include free Wi-Fi and a Nespresso machine! Acostar Hotel: This budget-friendly accommodation is just four minutes from Leidseplein, the capital’s lively strip and 10 minutes from the Amsterdam museum. Fully equipped with home comforts and free Wi-Fi, this modern hotel is an ideal base for families and couples alike with spacious rooms and city views. Now you know which major museums to hit first, your city break to this cultural capital awaits! A frequent visitor to the Big Apple, Danielle is your go-to girl when it comes to city breaks. 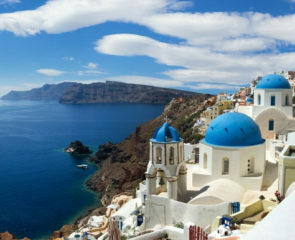 Alongside ice skating in Central Park, you’ll find her topping up her tan in Mexico or exploring ancient ruins in Greece or Turkey. An expert in all things Travel, Danielle has visited over 40 destinations – a serial globe trotter.